Print A5 Booklets online Upload Your Booklet Print File Here! View all A5 Booklet Printing options. A booklet helps maintain relationships with clients and creates new leads. Your business booklet should work in conjunction with your social media, press releases and other marketing mediums. Remember to keep within your brand guidelines when designing your booklet. Use professional graphic designers and high quality commercial printing for the best outcome for your booklet printing. View How to Supply your Booklet Artwork. Whether you’re creating a brochure or booklet to showcase your products and services here at PrintUK.com we can give you all the best tips and advice you need. Whether you’re looking to create a magazine, catalogue or programme for your business our stapled booklets will suit you perfectly. Our Booklets / Brochures are printed in a range of sizes and paper options. Booklets form part of your marketing mix and are ideal in direct mail marketing, take for instance retailers sending their seasonal booklet, they're stacked full of new products and you can't help yourself going online and buying something new. So shout about your business and increase your sales by using professional graphic design and commercial printing. PrintUK.com provides high quality, full colour, cheap A5 booklet printing in popular sizes such as A5 and A4 from 8-64 pages. 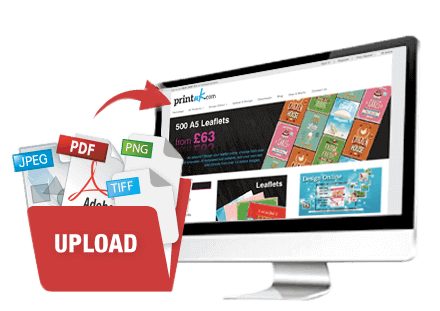 Upload your artwork files and order your booklet printing online today. + Add the finishing touch with a thicker cover or matt lamination. Capture your audience’s attention by creating a statement front cover page for your printed booklet. Make it a keeper, fill it with useful information, give your customers a reason to keep hold of your brochure. Know the purpose of your brochure or booklet before you set out with your graphic design. 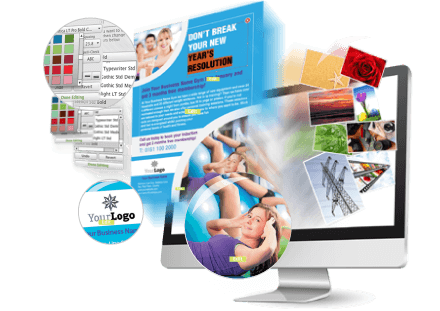 An image graphic can speak a thousand words, showcase your products and services throughout. People are naturally drawn to imagery. Limit the overuse of paragraphs and long text … less is more. Use contrasting and vibrant colours whilst incorporating your unique branding and style. A5 booklets are essential to growing your business, highlighting the products and services that you offer whilst connecting people with your brand. It all starts with with the creation of a standout brochure design. So when you upload and save your Booklet design you can come back to it anytime, on any computer. Want a versatile marketing tool which won’t break the bank but create opportunities for your business then a A5 booklet and brochure is just for you. As a leading booklet printer we can tell you first hand that a printed booklet has the ability to stretch the boundaries of your customer base. Booklets are a great solution for printing your annual reports, magazines, brochures and other books or booklets. Saddle stitched booklets (stapled) bind pages together using two staples along the spine. If you're wanting a thicker booklet then the perfect bound option is available but you'll have to get in touch for a quote. Remember to send your current client base your company booklets regularly to entice them to come back and grow your business whilst increasing your brand awareness. Use our easy online ordering process with a fantastic range of paper options and finishes to create your high-quality printed booklet. Make sure you have a look at our tips for optimising the quality and success of your new booklet. We have the ability to print your brochure either digitally or lithographically. PrintUK.com has the capability to create your booklet in a variety of different stocks and paper weights, the choice is yours. If you are wanting a premium finish we would recommend a heavier cover. As standard our brochures and booklets come saddle-stitched (stapled), unless you opt for one of our bespoke finishes. Unable to find what you are looking for? We are happy to help, please fill out our Bespoke Quote form as we can offer PUR/ Perfect Bound, Wire-O bound booklets however these are not available as an online option. Booklets are an ideal tool for a variety of the following; Product Portfolio’s, Sales Literature, Catalogues, Annual Reports, Newsletters, monthly magazines, manuals, service reports and a host more, representing your product and services. When uploading your brochure / booklet artwork please ensure the document size has a 3mm bleed on all edges. Supply your brochure artwork as single pages in high resolution (Press Quality) PDF format.